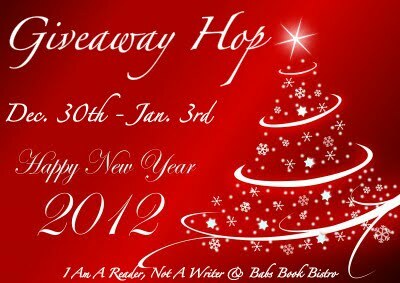 Kindle And Me...: Winner of Happy New Year 2012 Giveaway Hop! Welcome to the Happy New Year Giveaway Hop! This hop is hosted by I Am a Reader, Not a Writer and Babs Book Bistro. There are hundreds of blogs participating this hop starts December 30th and and runs through January 3rd, midnight. Click here to see the other blogs participating in the hop!